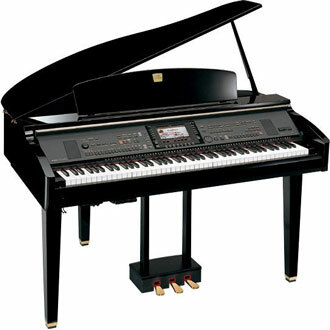 The Yamaha clavinova was the first digital piano manufactured by Yamaha. To this day, it continues to revolutionize the music industry. 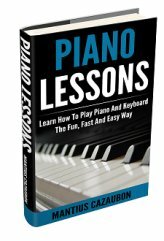 Many of today's top pianists choose this piano over other types of digital pianos. When it comes to a great piano sound, the Yamaha clavinova digital piano is a force to reckon with. The piano voices sound so original. Just like an acoustic grand piano. And to make the piano sound more real, Yamaha has added effects like string resonance, soundboard resonance and damper resonance. If you're looking for a realistic sound, you've found it. They include a feature called Graded Hammer Effect. The keys are heavier in the bass and lighter in the higher register, just like an acoustic piano. This is a very important feature. It justifies getting a Yamaha digital piano. Why pay more? If you want to save money, this is the way to go. Grand pianos are so expensive. When you buy a Yamaha Clavinova digital piano, you get many benefits and you save money. There is no need for tuning and you can use headphones to avoid disturbing others during practice. They include more than just piano sounds. You get many additional sounds like guitar, strings and organs. What to buy? CVP or CLP? There are two types of Clavinova models to choose from. There's the CVP and the CLP model. Which model should you choose? 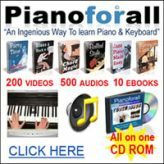 If you want a purely digital piano, go with a CLP model. 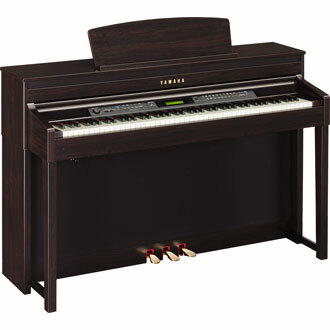 However, if you want a Clavinova that will do it all, buy a CVP model. CVPs are usually more expensive that CLP models. CVPs come with lots more bells and whistles, hence their higher price. Some high-end CLPs have slightly blurred the line between CLP and CVP because of top features like 16 track sequencers, iFAC and real wood keys, but overall, the CVP models have more features and high quality voices. Choosing a Clavinova has a lot to do with how much you are willing to spend and the features you want. Be sure to read CLP and CVP reviews before making a purchase. Read more about Yamaha Clavinovas here.